Dr. med. Rolf Mahlberg is Head Physician of Internal Medicine 1 at the Klinikum Mutterhaus der Borromäerinnen in Trier and also leads the clinic’s Oncology Centre. As a specialist for internal medicine focusing on haematology and internal oncology, he is specialized in blood diseases and malignant tumoural diseases. The European Society for Medical Oncology (ESMO) honoured Dr. Mahlberg with its certificate, thus underlining the oncological specialist’s expertise. Dr. Mahlberg has made multiple contributions to technical literature as an author and publisher, he is additionally involved in basic literature for textbooks and specialist books on haematology and oncology. 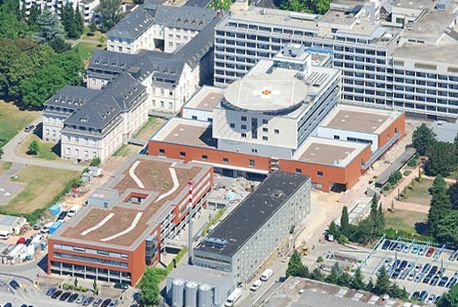 The Klinikum Mutterhaus cooperates closely as an academic teaching hospital with Johannes Gutenberg University Mainz, thus providing up-and-coming physicians with sound practical training. The patients also benefit from the ongoing exchange and dialogue with the university. Dr. Mahlberg himself is a trainer in ultrasound diagnostics. The welfare of each and every patient is the most important thing to Dr. Mahlberg, personally. This includes personal, trust-based contact with those concerned and their next-of-kin and addressing their concerns and difficulties. For those affected cancer is a heavy blow which frequently also requires psychological guidance. Therefore Dr. Mahlberg is also closely integrated with psycho-Oncology. Not to be disregarded, furthermore, are also the general practitioners and other hospitals. Only through close co-operation are the physicians able to receive fast and full access to further documents and jointly coordinate treatment approaches. The Oncology Centre at the Klinikum Mutterhaus der Borromäerinnen, led by Dr. Mahlberg, treats over 3000 cancer patients a year and has particularly broad experience in cancer therapy thanks to this specialization. 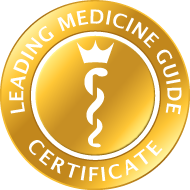 This is also underpinned by certification from the German Society for Haematology and Oncology. In addition, some patients have the possibility to participate in scientific studies toward evaluating the efficacy of promising medicines. This enables the Oncology Centre to make an active contribution to further improving existing cancer therapies. The oncology specialists in Trier cooperate closely with the nuclear medicine department for special diagnostics- and therapy methods, and also with radiology. Thus they have access to the most modern diagnostic technology, such as PET-CT, MRT, mammography, chemoembolisation et al..
We provide our patients with a comprehensive spectrum of diagnostic options for oncological diseases.